Bayside Orthopaedic specializes in hip, knee, and shoulder joint replacement. 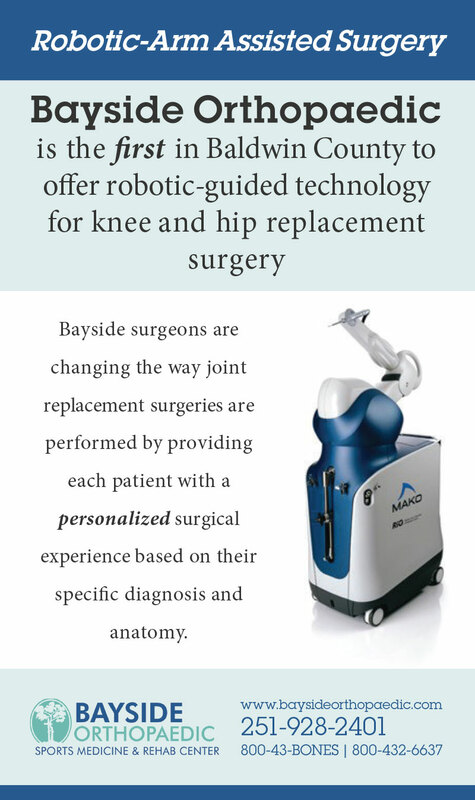 Bayside Orthopaedic offers services in hip, shoulder and knee replacements. Bayside Orthopaedic takes a special interest in fracture care and surgery. A spinal fracture is a serious injury. Learn more about our spinal care treatment. Our athletic patients receive the best in sports medicine treatment. Learn more. We provide our patients with the highest level, individualized rehabilitation care. See us in action at Fairhope High School football and Saturday Morning Sports Clinics.